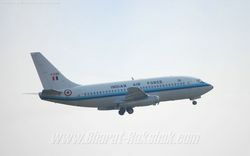 The Air Headquarters Communication Squadron, based at Palam operates four Boeing 737s for VIP duties. 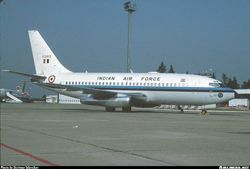 Prior to these four aircraft, the Squadron operated another two 737s (K2370 and K2371) which were later replaced by four more taken over from Indian Airlines. (K2412, K2413, K3186 and K3187). 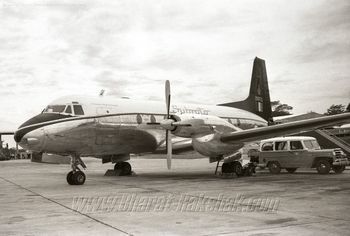 All the six aircraft that served with the unit were former civilian aircraft and carried VT registrations at some point of time. 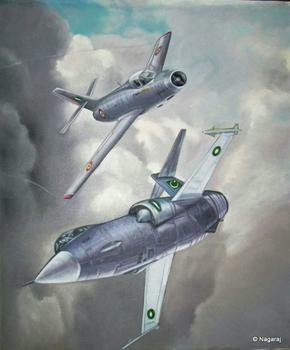 An excellent shot of K2413 of the Air HQ and Communications Flight coming into land at Palam. 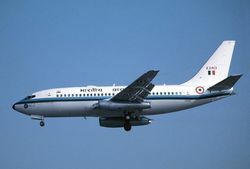 IAF perssonel salute, as a B737 taxies. 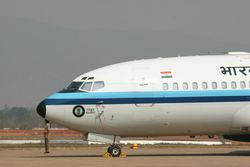 IAF Personnel salute, as a B737-200 (K2412) taxies for take off. 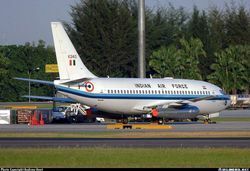 The Air Head Quarters Chief of Staff (AHQCS) based at Delhi-Palam operates a fleet of VIP aircraft including this B737-200 (K2412). A B737-200 (K3187), from the Pegasus (VIP) Squadron, parked at the dispersal area at AFA Dundigal on 15 December 2001. 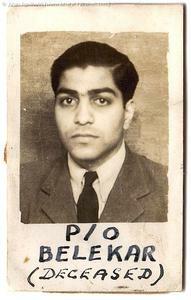 The Chief of Air Staff, Air Chief Marshal A.Y. 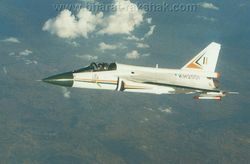 Tipnis, was using the aircraft during his farewell visit to the Academy. A beautiful shot of a B737-200 (K2413) at Changi, Singapore on 02 June 2001. A nice shot of a B737-200 (K2413) at Bratislava - M.R. Stefanik (BTS), Slovakia on 27 June 2000. Sanjay Simha took this excellent photo showing the Boeing in its finest angle.